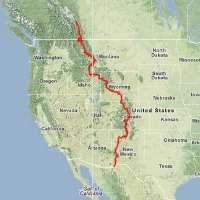 Being a planner and data geek, I developed my own notes for my 2014 Tour Divide ride. These notes were stored on my phone for easy reference throughout the ride. This allowed me to easily see what was coming up in the next town and how far away re-supply stops would be. If you’re a “fly by the seat of your pants” kind of person, this might be information overload and it won’t help very much. I’m definitely of the “plan first” mentality, sometimes to my own detriment. Before the ride, I spent a lot of time going through the ACA maps, GPS files, MTB Cast call-ins from previous years, books from Tour Divide veterans, and blog posts to get an idea of re-supply options, mileages between towns, and vertical climb stats. Since it helped me so much during my ride, I wanted to make it available for other riders to use and customize to their needs. ACA Maps – this is still the best option for route information and, in my opinion, invaluable while on route. A simple document with notes is not sufficient. Cycling the Great Divide by Mike McCoy – The second best resource for developing your own notes. It contains very detailed information broken out into roughly 50 mile days. Very useful for pre-ride planning. Be Brave, Be Strong by Jill Homer – Probably my favorite book about riding the Divide. Through Jill’s stories, lots of information about towns, mileages, and food options can be obtained. Eat, Sleep, Ride by Paul Howard – A very humorous tale of a newbie mountain biker taking on the Divide. Trail Magic by Scott Thigpen – A new book about Scott’s 2013 ride. It wasn’t available for my note taking, but I have read it and it’s got some good nuggets of information. Ryan Sigbey’s blog – The posts don’t go through all of the days, but there is lots of great information from Ryan’s ride that he details in the posts. It gives a good feel for life on the Divide. MTB Cast call-ins – The best source to get a feel for life on the Divide. Listen to the highs and lows from the racers while they are racing. Lots of different perspectives on how to live on the route. GPS files from ACA – Useful to calculate elevation gain along the route. While it could also be used for distance calculations, I found the maps to be easier for mileage calculations. After reading, listening, and calculating from the resources above, I came up with a simple bulleted list of information on each town – food, lodging, re-supply reminders, mileages to the next few stops, and some notes on elevation gain. Each day, I would check my notes to make sure I had enough supplies for the upcoming stretches. The further south I travelled, the more important this information became to ensure that I did not run out of food or water. One word of caution if you are the planning type. Don’t let the notes drive your decisions for mileages or where to stop. I did this a few times to my own detriment. Instead, use them for reference, but let each day play out and go with the flow rather than setting a hard goal based on the notes. Finally, please remember to do your own research and come up with something that works with your goals and riding style. Everyone is different. Hey Andy, congrats on a great ride! This town notes are such a fab resource, I was also thinking of putting something like this together so you have saved me the time!! Just one question now you have completed the ride – were the notes all accurate or did you find that some resources had closed down and some towns had more things that had opened up? Thanks for some great reading. All the best. Hey Al, thanks and glad the notes help out. The version posted had some updates to some of the New Mexico pieces because I found snacks in Separ and Pueblo Pintado was completely closed down. All of the other towns had at least what is listed, but most towns that were more than a few buildings had multiple food options. Wow! This is exactly what I wanted to put together for my rookie run this year. I was struggling to figure out what was the right information to include and I think you nailed it. The only thing I might add is which towns have post offices just in case I need replacement gear shipped to me. Thank you for being a planner and data geek. Troy, glad the info is helpful and it’s fun to be an appreciated data geek. 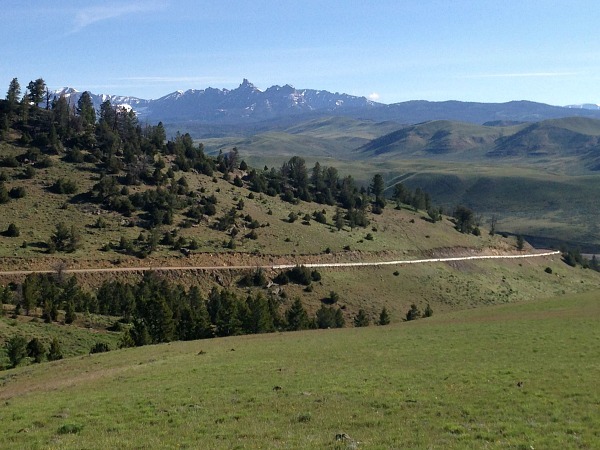 Previous post: Tour Divide Days 21-24 : Pie Town, Mud, and The Finish!